The site that was for the brand that wasn’t. We managed to get a lesser-known leaf to join the ranks of the famous Maple and Marijuana variety in Canada on April 1st 2014. Through our faux ecommerce site Brassica.co, we hailed Kale as the next big thing in product retail to the hipster market of Vancouver’s Gastown. And the truly funny thing about this April Fools prank is that people were really upset to find out that it wasn’t real. It all began as a pro-active brief for April Fools Day in our weekly creative get-together, The Distillery. What started as an opportunity to have a little fun quickly turned into a way to parody the trendy climate of ‘hipsterism’ that is blowing around our agency’s hood. It turned out hipsters were into most of our creations. We established the store name, Brassica & Co, and then created a number of Kale-centric items that treaded the fine line between being believable hipster products. 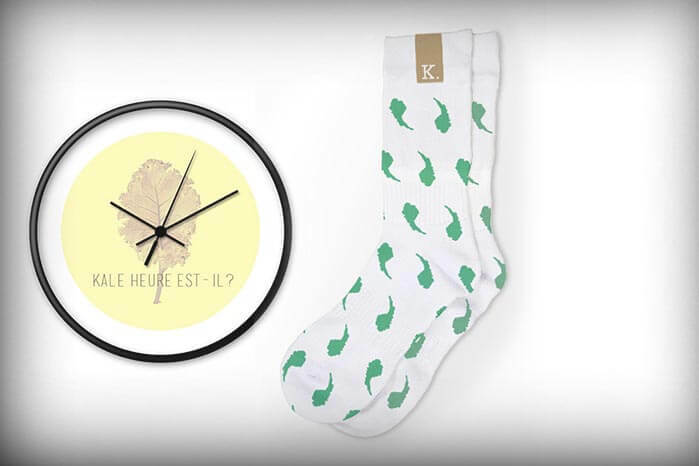 Our wall clock, socks, and Kale shirt were the favourites, followed very closely by interest in our Kale Ale, Kaleogne, Kalenergy, and Kale framed art. It was only our Kale flavoured Kale chips and the Kaleigraphy Kit that left the hipster community deciding what the scale of their demand would be. There was an early bite in traction from our social media presence when bloggers and local journalists began following Brassica & Co on Facebook, Instagram, Twitter, and posting information about the new Kale store. We knew our Brassica & Co styled gift packages that we’d sent to a selection of Vancouver’s influencers had done their job and got people curious. Then The Georgia Straight called to do an interview with the fictitious couple who we’d created as founders of Brassica & Co, Julia and Robert Huxley. All the hype had gained momentum faster than we imagined, however, it was when we broke the news that Brassica & Co. was all an elaborate ruse for April Fools Day that the affects of our Kale prank really impacted. @michdas (Michelle da Silva, Georgia Straight) tweeted, ‘Seemed too good to be true, didn’t it?’, with responses from Peter Meiszner (Co-host ‘Trending Now’ on Global BC Morning News) and Vancouver Is Awesome concluding that Brassica & Co should be a ‘Pop-up’ store. Michelle da Silva followed up with an article on Brassica & Co. in the Georgia Straight. Back at Pound and Grain HQ, we were all very happy that having a good time at work with such a fun project managed to reach so many people in such a short space of time. We had a local broadcaster call to propose filming Brassica & Co’s arrival and establishment in Gastown. We also made the Huffington Post’s ‘Best April Fools Day Jokes’ article. 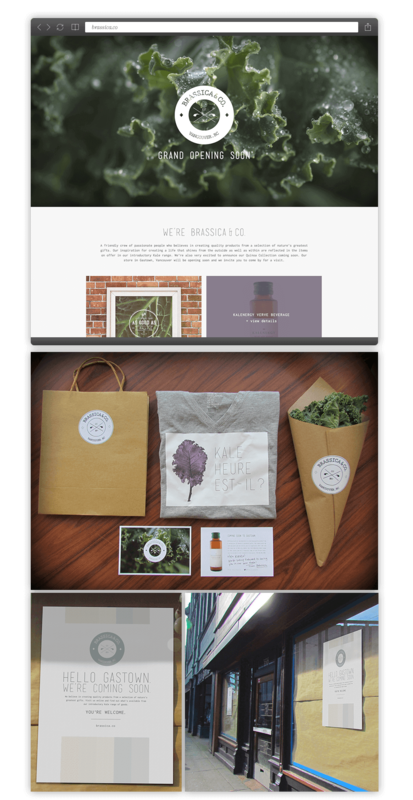 Most of all we were really happy that after finding out Brassica & Co was a prank by Pound and Grain, so many people made their way over to our new agency website, which had launched only a few days before. Coincidence, I think not.